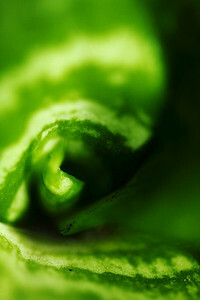 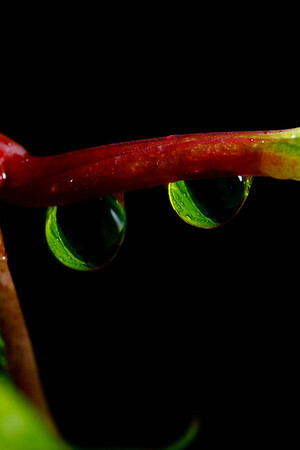 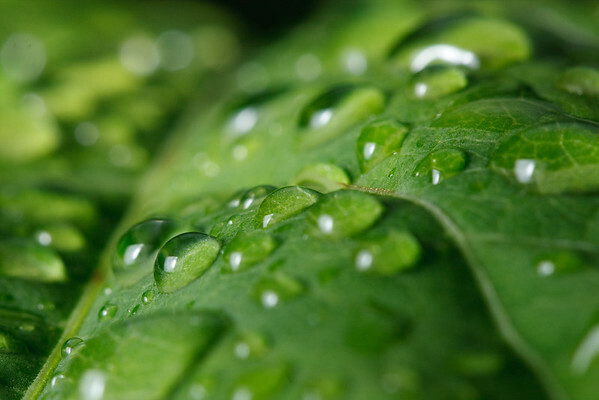 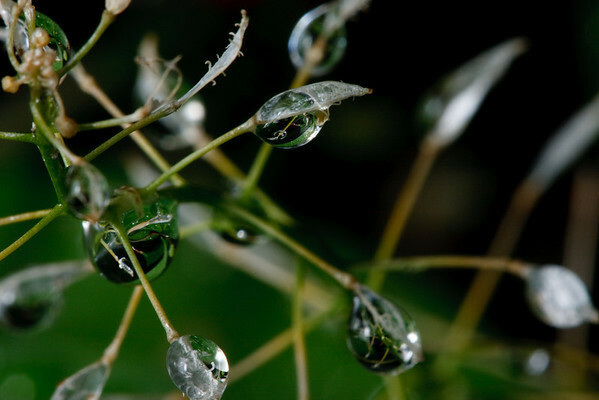 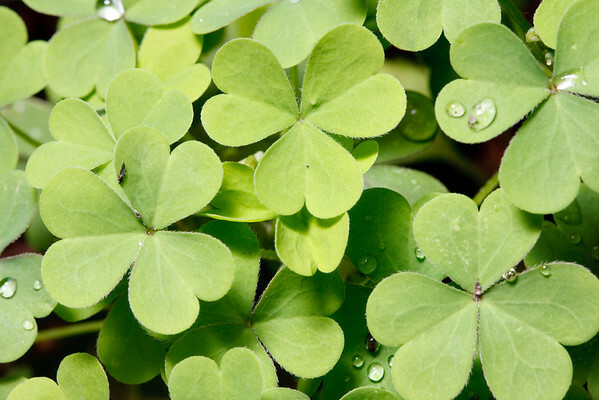 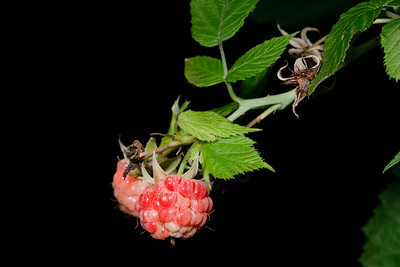 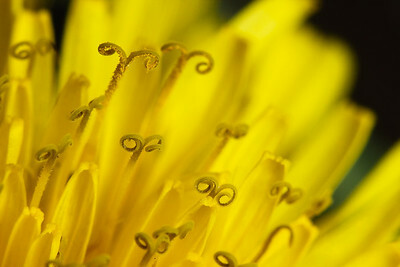 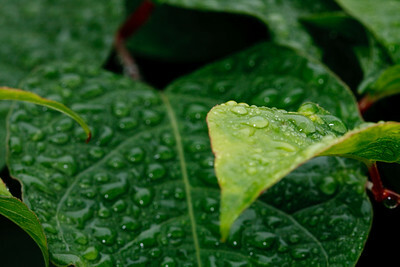 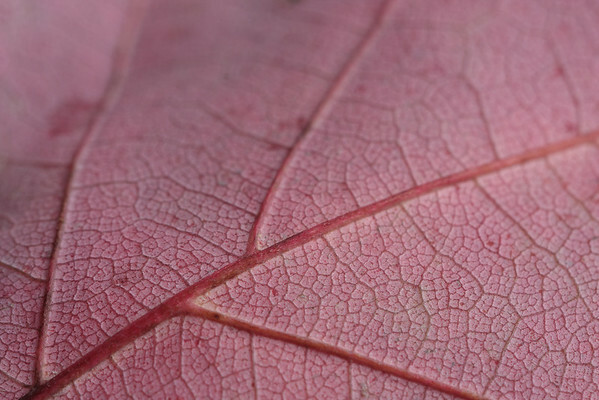 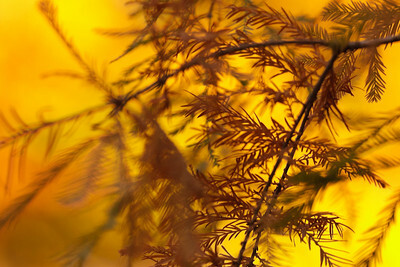 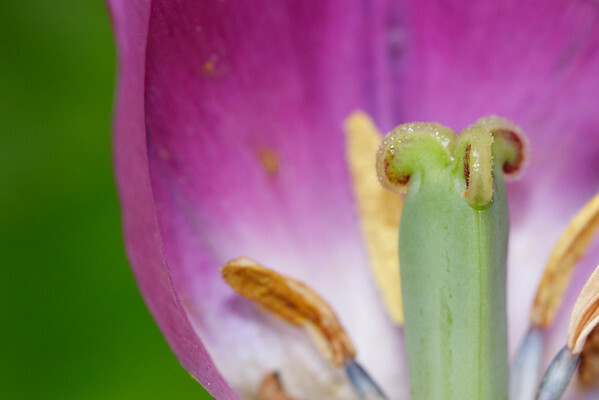 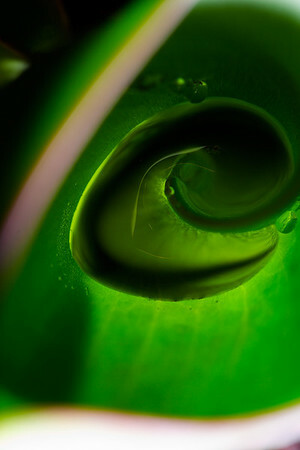 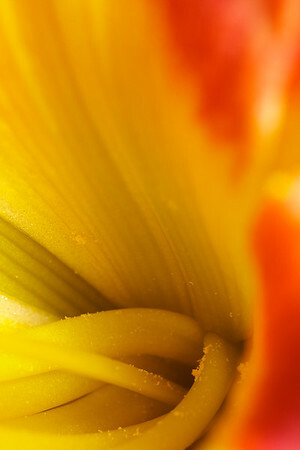 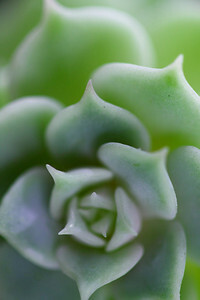 Close-up fine art photographs of leaves, stems, flowers, and other parts of plants. 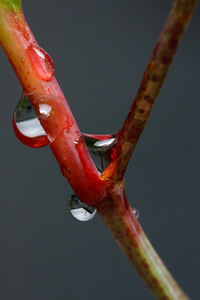 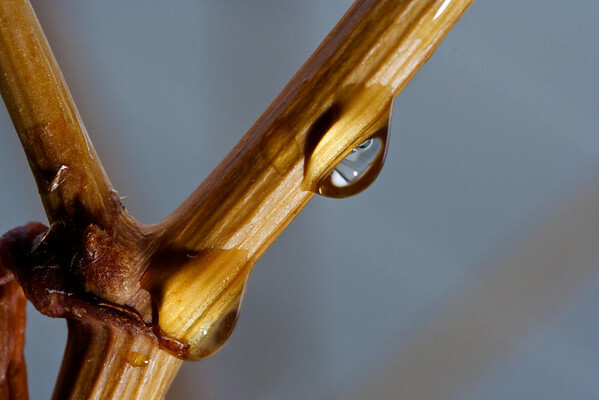 Rain drips down along the dry branch of a sumac. 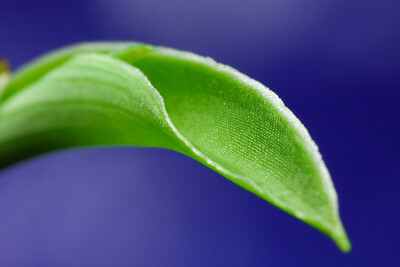 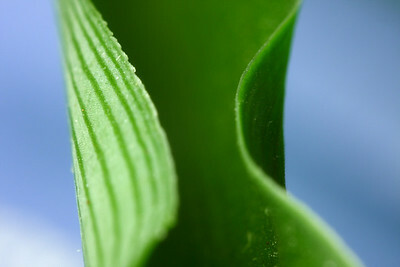 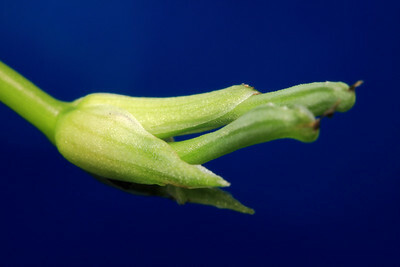 The folded leaf of a spider plant. 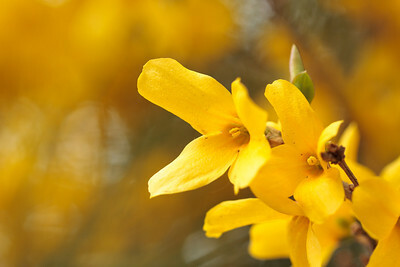 Yellow forsythia flowers blooming in early spring.